Inspiration can come from everywhere, you just have to slow down and notice it..
Inspiring each live she has touched to be a little more gentle, a little more understanding and to act with love. Happy 100th Birthday to my Grammy, I love you. This is her first birthday our family will be remembering her without her present. I know her lessons will last my lifetime and will continue to have a powerful influence on future generations of our family. After her passing in December 2012 (link) I took some of her photo albums, as pictures are so important to me. Here are a few of my favorites. Third from the left, Grammy, and her sisters. At her shop in South Minneapolis, Two’s Company. My dad with his parents. At my bridal shower in 2008. There are so many people who struggle through life dependent on the next thing. If I get to do (fill in the blank) then I will be happy. When I get (fill in the blank) I will be better off. If he/she stops (fill in the blank) everything will be fine. On one hand it is necessary for growth to create goals to work towards, however, allowing those plans to dictate your mood moment to moment is detrimental. Your happiness is not dependent on whether you pass or fail, whether you have support from those around you or what monetary gains you create along the way. If you are waiting for the accomplishments to arrive before you will feel content, you may find those accomplishments short-lived and quickly replaced with new obstacles to overcome. And when you are placing your happiness on the responsibility of the actions of others, you will never find peace. 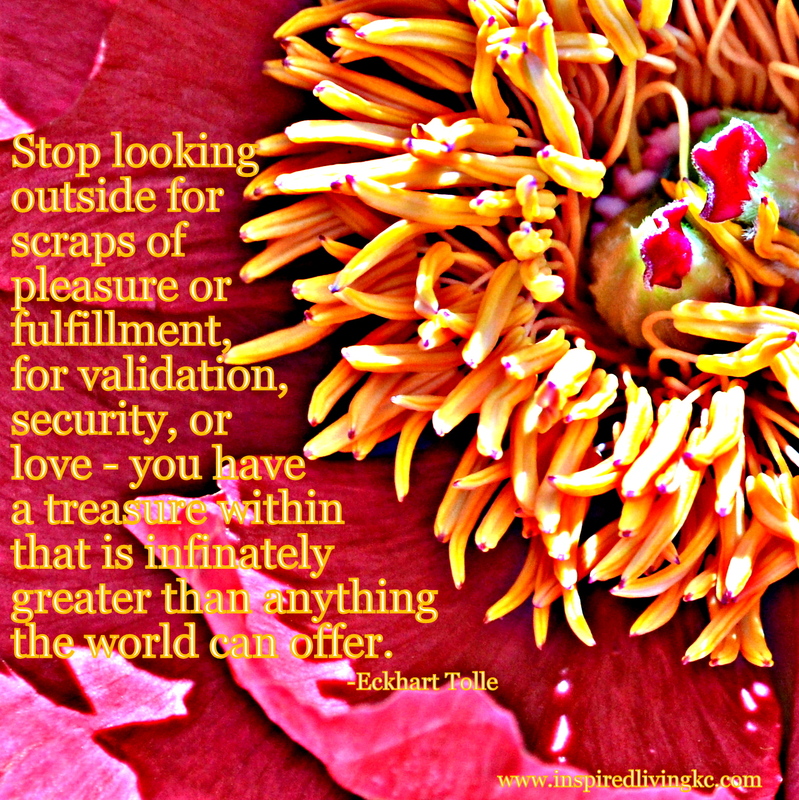 To find satisfaction within your own life you must be at peace with the present moment, flaws and all. Eckhart Tolle says “Whatever the present moment is, accept it as if you had chosen it.” It is part of the path of your life, exactly as it should be, both the good and the bad. The challenges you face are opportunities for learning and practicing new skills, there is nothing you cannot overcome and there is no challenge which does not serve a purpose for you. Stop looking outside yourself or waiting for the moment for things to change, happiness is being at peace with the present and the path you are on. 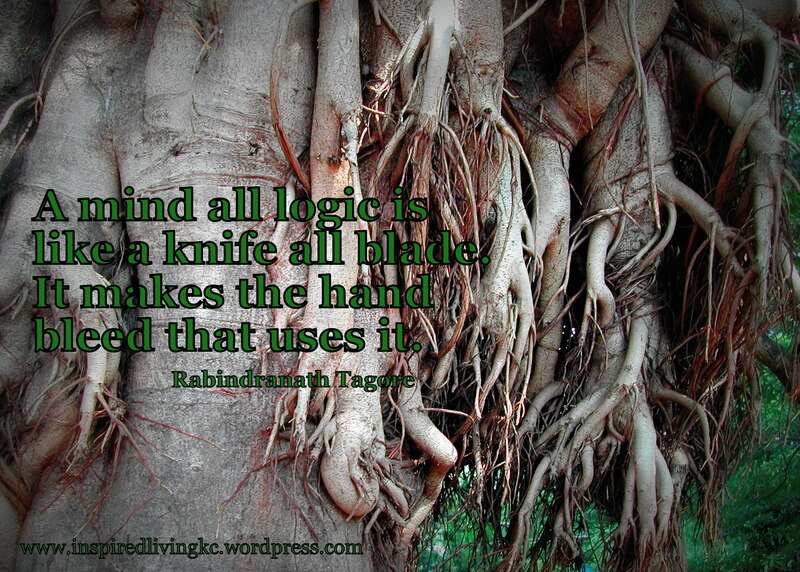 Rabindranath Tagore was a name I had never heard of before visiting India. Not that I know all of the Nobel Prize recipients, or have heard of all the top influential poets, and I definitely don’t recognize every major historical leader’s names. After stepping foot in Kolkata, it’s impossible to ignore the name Tagore. He was a philosophical and spiritual leader through his literature and later through his University and world traveling. His influence in West Bengal is undeniable, though his lessons in music and poetry continue to ripple throughout the world. His family’s home is now a museum in Kolkata which we got to tour early in our travels to India. 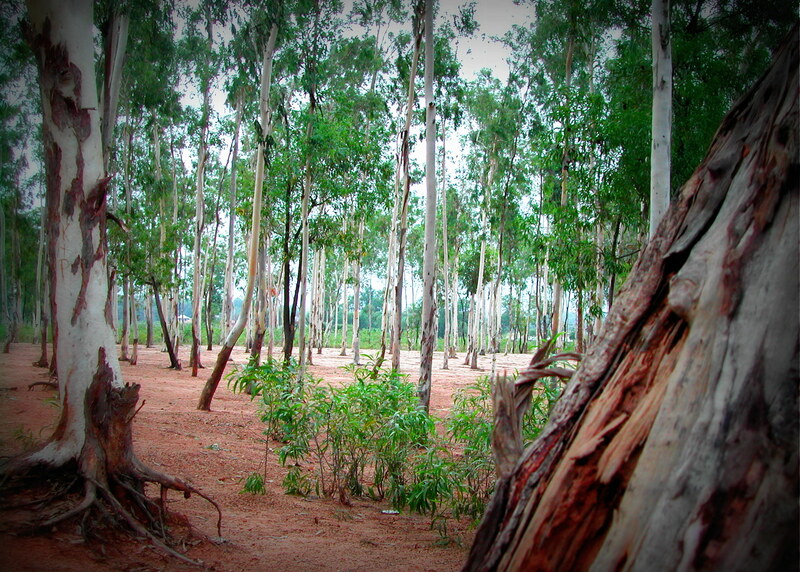 Several weeks into our excursion we took a train to Bolpur and Santiniketan. Tagore and his family traveled this same path many times as Santiniketan was their family’s second home. 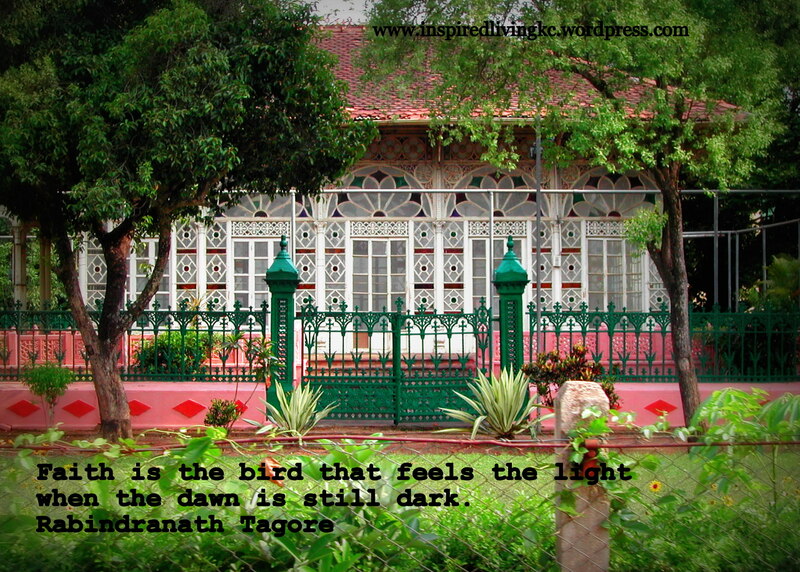 Tagore’s father actually gave the name to the town with the translation meaning abode of peace. 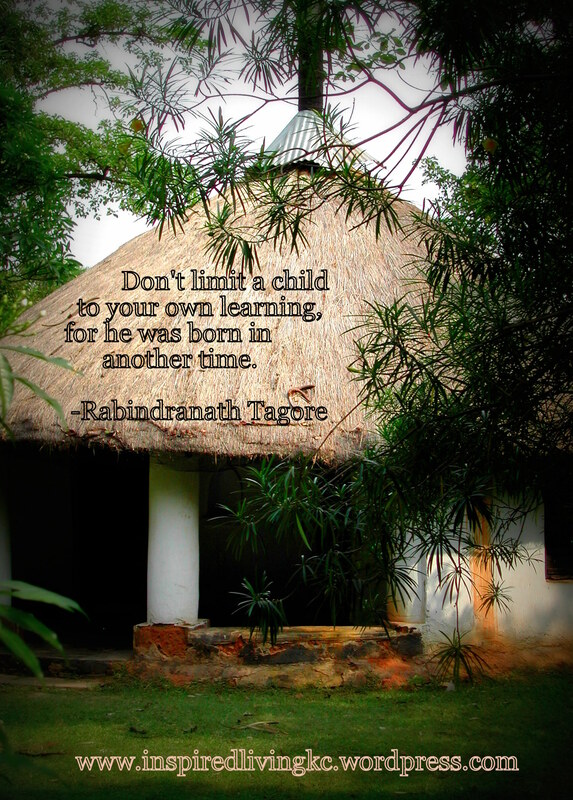 Rabindranath Tagore built a school, which grew into a university in Santiniketan with the principle of learning with nature – or utilizing outdoor classrooms. He named his school Visva Bharati and aimed at joining India with the world in arts, languages, philosophy and literature at his campus of banyan trees. 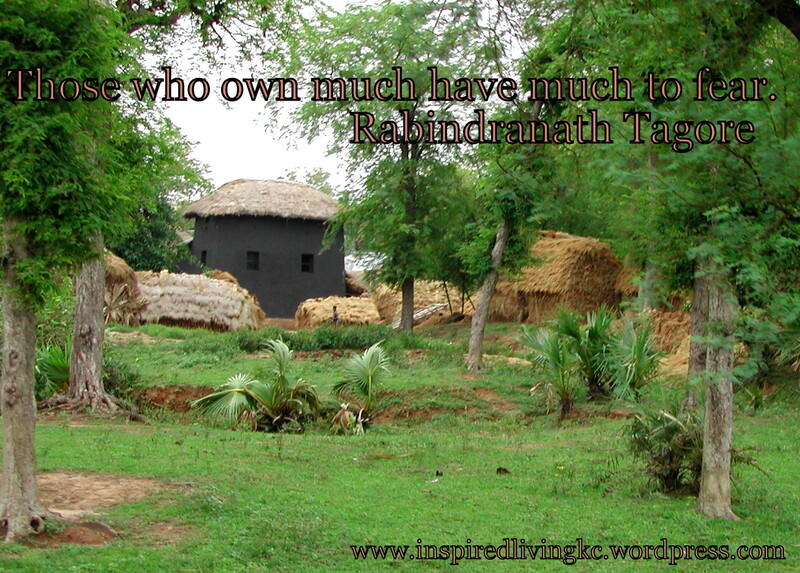 Not far from his university was another Tagore treasure we got to witness. 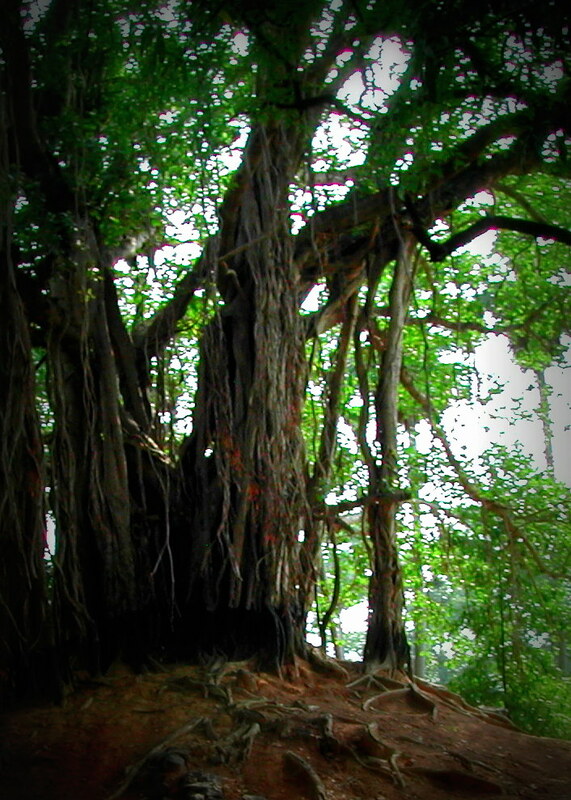 It is a river gorge with picturesque trees and red sandy earth, a scene Tagore used to treasure to escape to write. situation. 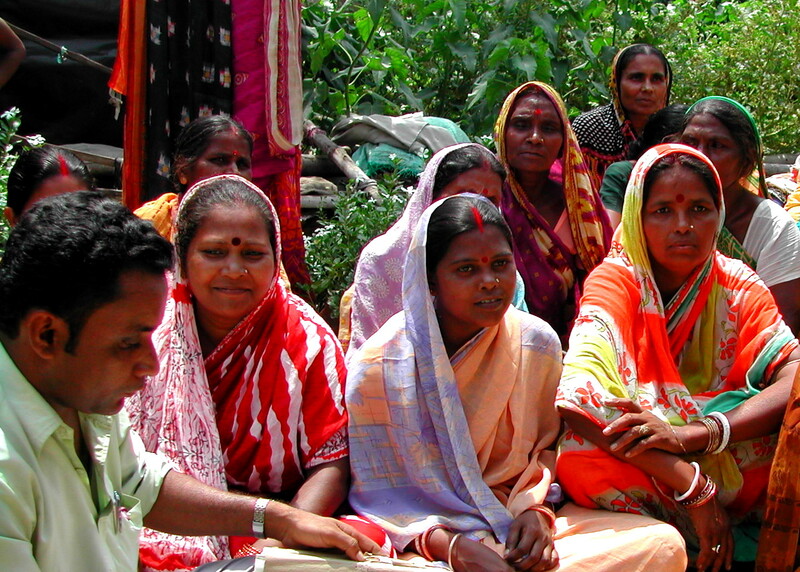 The women work to repay their loans within a year – making small payments. Their yearly loan amounts range depending on their experience with the program and what they intend to do with it. 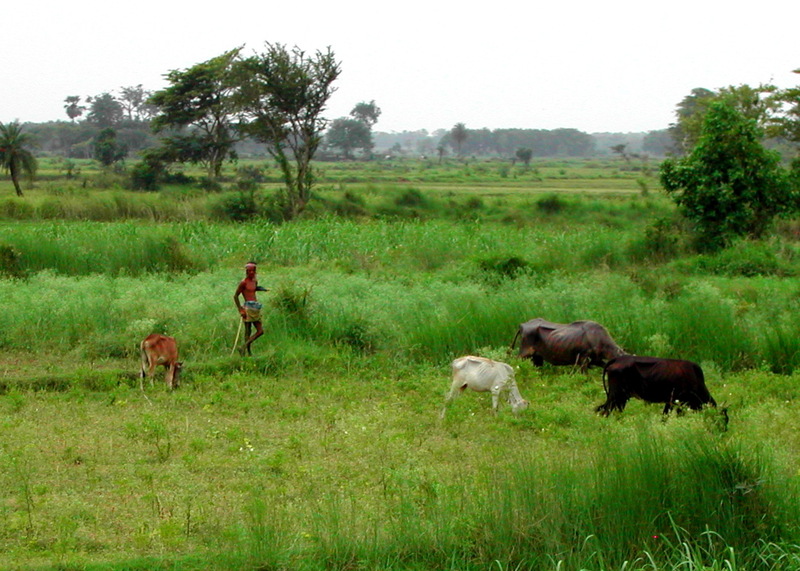 Some women purchase goats and sell their milk, some women use the loan to purchase supplies for making crafts or sewing clothing. Although micro credit is intended to empower women and allow them an opportunity to create an income for their families, many women reported how the money they received as a loan went directly to their husband. 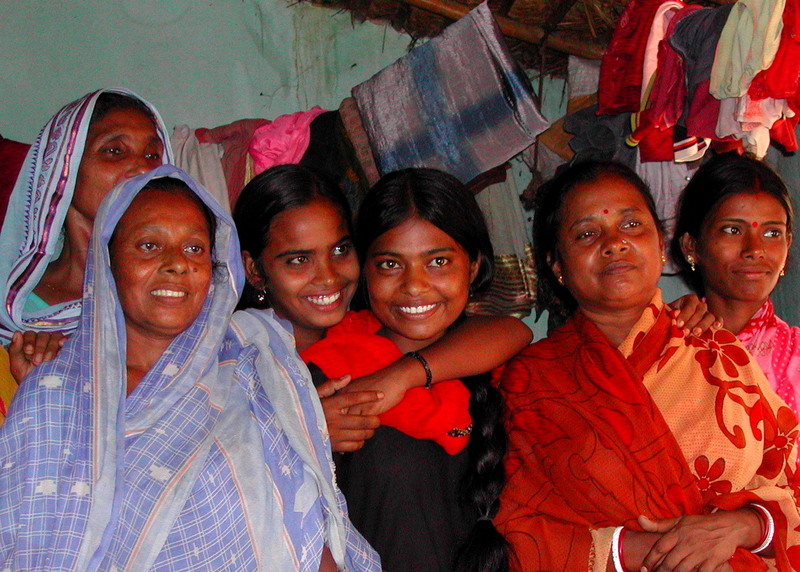 We were welcomed into the villages in Bolpur, women excitedly greeted us and proudly displayed their business ventures. The energy of happiness was all around despite how it was apparent that everyone had so little. The huts didn’t have running water or electricity, they had very little space, privacy or personal belongings. 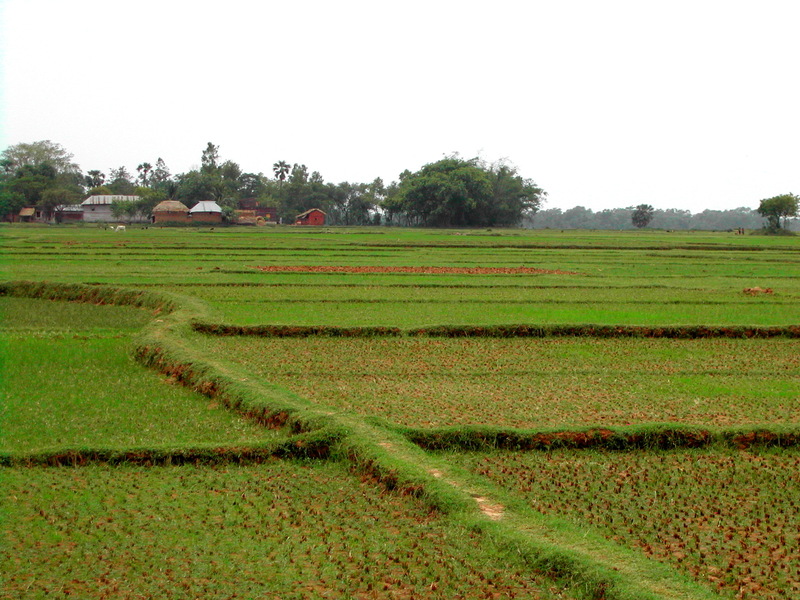 Yet, the smiles shared between the residents of Bolpur and their foreign visitors exuded joy and contentment. A documentary film crew creating musical masterpieces from intertwining musicians from around the world also ended up in Bolpur & Santiniketan. “What About Me,” has been shared as a series on Oprah’s Super Soul Sunday. One of the film makers and world traveler, spoke highly of the people of this community. In the below clip he talks about how he thinks when people are good, friendly and kind enough to reach attainment they are reincarnated and sent to Santiniketan. I have a friend I met almost four years ago through a job. Carrie and I were hired within a month of each other and had an immediate connection. We’ve talked about our souls being connected in the past and I knew she came into my life to help fill in the gaps of my own inadequacies and I to help her in the same manner. We only worked together for about a year before some political drama and employment cuts ended up with her out of the job. The situation makes me cringe to even think about and I could easily go into a downward spiral of hatred considering what happened… So I will stop there and move on. Our friendship continued although, our face to face contact became more dispersed. She and I talked about the possibility of a business venture since our personalities complimented each other so well. She is slightly older than I and sometimes it felt like she had a lifetime more life experiences. There were times I would smile and nod at her question “You know what I mean?” hoping she wouldn’t recognize I knew nothing before I could puzzle together some context clues. Carrie has a knack for getting her needs met, her southern drawl could reel anyone in and convince them of whatever she was requesting. Her dark curly hair is the kind most women would lay down big money to duplicate, and this is on the days she claims she didn’t have time to fix it her own way. She has warm brown eyes, a bright smile, rounded face and naturally tan skin. Carrie’s outward beauty barely begins to exude the beauty within, as she has worked her life serving others. Her career has involved advocating for those who cannot do it for themselves, and she is exactly who I would want representing me if I were incompetent to make my own decisions. Sounds like I have painted the picture of a wonderfully warm and generous human being who speaks softly, with manners and always kind and gentle. Yes, this is true of Carrie in many ways although I would warn you… Don’t cross her, she can outwit you and pull the totem your pride was standing on before you can catch your next breath. These characteristics have served Carrie professionally and recently in a deeply personal way as well. This story is about the ultimate determination I have witnessed in my friend and an incredible journey to parenthood I am so honored to be able to report. Seriously incredible and worth making into a movie, I told Carrie she would be played by Angelina Jolie. Two years ago Carrie talked to me about her desire to be a mom. She had been in a number of serious relationships throughout her twenties and thirties, none of them amounting to “the one” worth marrying. Since she was well into adulthood, built a professional career and firm foundation, Carrie felt the tug of parenthood greater than the need for following society’s approved order of becoming a parent (i.e. relationship, marriage than baby). Haters – stop right there. I know some people immediately get all judgmental when someone acts out of the realm of what is traditional. Need I remind you a large number of youth grow up in single parent households in the present day, single moms can do just fine providing all the emotional, physical and financial support a child can possibly need. AND there is no such thing as a traditional household anymore – family make-ups are all unique and no one is better than another – just different. There is no specific recipe for what ingredients make for a healthy child – love and resources in what ever form they may come. So Carrie began with looking at her options. She wanted the experience of being pregnant, of feeling the baby growing and kicking, and delivering it into the world. She submerged herself into research about the medical advances in using donors and insemination. She met with doctors and began preparing her body. She revised her diet and workout regiment, she was religious about vitamins and necessary medications. I can’t recall all of the details of each insemination attempt. I know there were many and I know a few took to pregnancies and all ended in miscarriages. Between attempts she became well versed in the medical terminology, being able to converse intelligently with her doctors about what tests they were failing to administer which increased her chances the next time around. She submitted her body to a strict regiment of shots and medications to prepare for and retain the pregnancies. With each attempt Carrie was more hopeful and then more upset with each loss, feeling dreams of motherhood crashing. Feeling pregnancy may not be an option for her she looked into adoption. Adoption also appeared like a hopeless path as adoption agencies look for two parent households. The foster-care into adoption situations would only consider her for older children, sibling sets or children with special needs all of which she felt unprepared. I heard her talk about “This will be the last try,” leading up to the most recent medical procedure, and I was elated to hear the positive test results several weeks later. Without trying to sound pessimistic I questioned how she and her doctors felt this one would hold better than the last and if she would on-going increased care. I so wanted Carrie to experience to joy of being a mom, to carry a healthy baby and experience the terrific pain of childbirth, I just had a sinking feeling this might not work. In March Carrie told me the news, there was no heartbeat on the sonograms and this pregnancy also ended in a miscarriage. It was devastating to hear and I cannot even begin to imagine how she was feeling. Weeks went by before I heard from her again, and this time it was a phone call I will never forget. The day before Easter Carrie called to tell me she was going to be a mom and her baby is due by the end of the month. I wanted to cry, I wanted to hug her through the phone, I wanted to be there with her getting to see the expression of joy she had to be having. Words wouldn’t even formulate in my mouth to ask appropriate questions of – how did this happen? She provided me with some background and wanted some information, since she had spent two years working on how to become pregnant she missed the nine months women usually have to prepare for the baby. Through this phone call and conversations we have had since I understand the bizarre and amazing connections which brought my friend to motherhood. Even greater, the determination my friend sustained throughout this journey demonstrate she can tackle whatever challenges a parent may face. Carrie and her mom learned of a young woman who was pregnant and wanting to give her baby up for adoption. The birth mom was addicted to a multitude of prescription drugs and knew she couldn’t be responsible for the infant after the birth. She used throughout the pregnancy and had no prenatal care at all. Shortly after meeting with my friend she agreed Carrie is meant to be her baby’s mom. Carrie scurried to get all of the necessary legal documents completed including a home inspection and began making purchases for a nursery. She paid for a hotel room for the duration of the pregnancy and time afterwards since the birth mom had no stable living arrangements. And she took the birth mom to buy food and to doctors appointments where she learned she was having a boy. The birth mom reassured Carrie about how even the baby knew she was his mom, when he would calm his movements when her hand was on the belly. She the only person who provided calm for him in the chaotic environment his birth mom surrounded herself with. Carrie said there were various times when several women and handfuls of children would also be staying in the hotel room when she came by with groceries. During one such visit an ambulance was called when one of the birth mom’s guests had a gran mal seizure. The way Carrie described the individuals she interacted with, they sound incredibly intimidating. She certainly wouldn’t let any fear show, as she was there for her son. The estimated due date provided Carrie with about a month to prepare, except two weeks early she was rushing to the delivery room with the birth mom. The hospital staff requested Carrie’s cooperation to help the birth mom through the labor as she was the only one the panicking woman would respond to. For hours during active labor Carrie was on her knees on the hospital floor to bring her baby into the world. One Monday, at a perfectly healthy weight and size her baby was born, miraculously showing no effects from the drugs or withdrawal symptoms. You might think hooray, and it ends there… Not for Carrie, with adoption it’s not over until the paperwork is signed by the judge. Court was scheduled for Thursday, leaving four more days in the hospital. Carrie snuggled her newborn and got to enjoy the first feedings and diaper changes, while in a separate room birth mom recovered. The hospital social worker was obviously disapproving of the adoption arrangement and questioned the birth mom “wouldn’t you want your son to have two parents?” When her questioning wouldn’t budge the birth mom’s decision she talked about child protective services coming to speak with her. After the conversation with the hospital social worker, and without the knowledge of Carrie or any hospital staff the birth mom eloped from her recovery room. 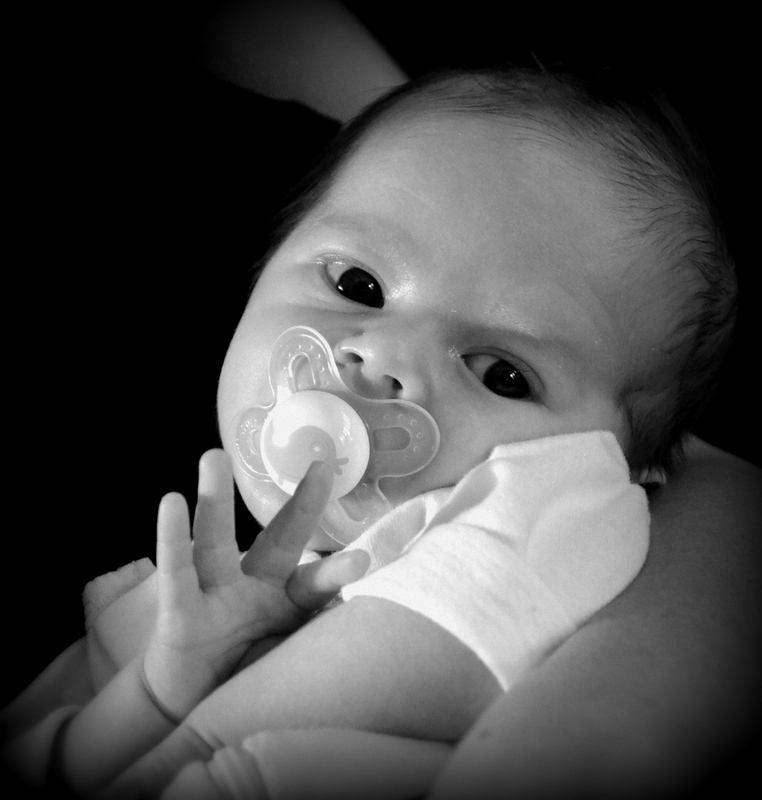 Once the social worker and director of nursing became aware of what was happening they approached Carrie about taking the baby to the nursery, because she was not a legal guardian for the child (yet.) The social worker and DON were no match for all Carrie had been through in the last two years for this child, and she made sure they understood how they had failed this child by making the birth mom feel insecure and allowing her to walk out. She made sure they understood she would not allow her son to be punished by removing him from her care because of their mistakes. Carrie tolerated the babysitter/security they staked out in her room for the remainder of the days leading up to the court hearing. A head hospital administrator learned of the events taking place on the nursery floor and came to Carrie with an apology. He offered two $10 gift cards to the hospital cafeteria as a gesture, ha – as if that could make up for the furry Carrie felt toward his establishment. On the Wednesday evening before court the lawyers began drawing attention to the birth mom’s absence and her unresponsiveness to calls. It was clear if she didn’t make it to court, the proceedings wouldn’t happen and the baby would become custody of the state. Carrie’s mom stayed with the baby while Carrie went on a chase. 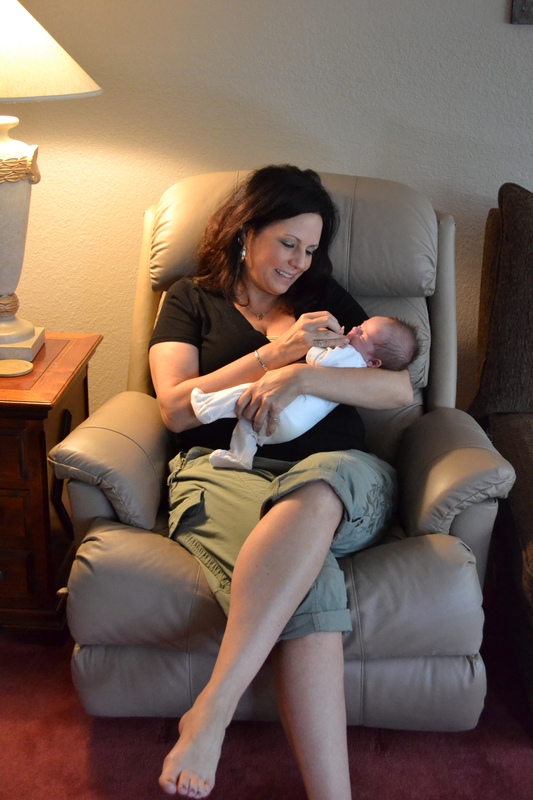 She drove to every sight she had ever been to with the birth mom, contacted each connection she had made with the birth mom and followed every possible lead to where she may be. Around 2am Thursday morning Carrie found herself in a trailer park with some shady characters looking high out front. She found the birth mom inside a trailer passed out and helped her regain enough consciousness to get into the car and return to the hotel room. Despite the roller coaster of emotions during the week and a sleepless night before the hearing, Carrie made it to court with the birth mom. In the meeting room before seeing the judge the birth mom continued to try to put her head down and sleep, with the lawyers looking on frowning for fear the judge may postpone the date. Carrie insisted she stand up and jog in place with her to stay alert and ensured all of the final paperwork was signed and approved. 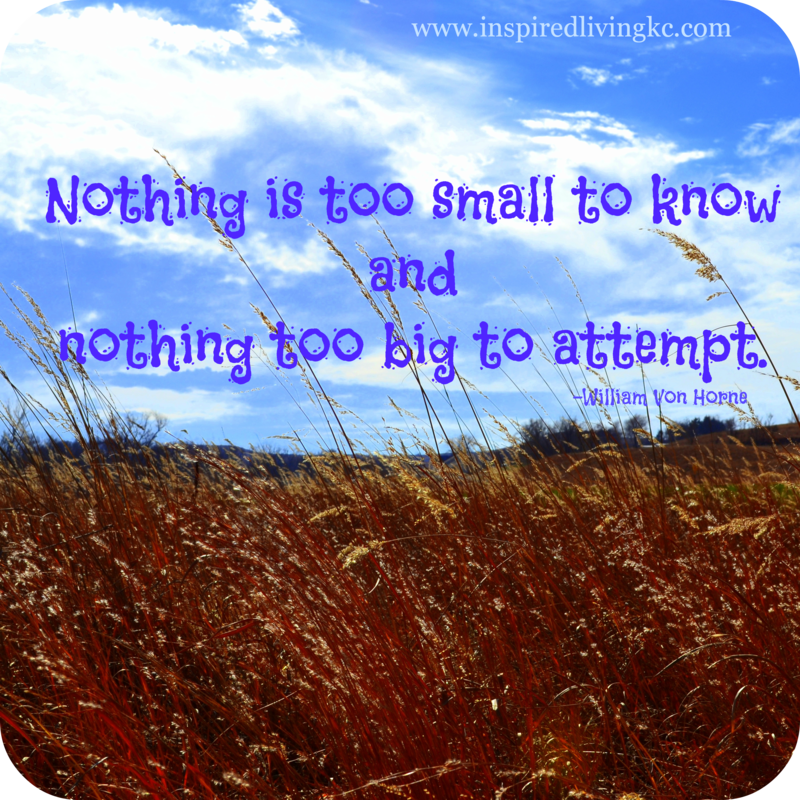 My friend Carrie’s story of becoming a mom is the ultimate determination. Her son is as lucky to have her as she is to have him, and I am fortunate to have her friendship. Carrie’s dedication to fulfill her dream is an inspiration to me and to so many others who have witnessed her journey. We toured several Mother Teresa’s Homes in Kolkata. The five homes we toured reminded me of the Ramakrishna Mission, our temporary home in Kolkata, in the way that outside the walls of the center were bustling crowded chaos and inside was a friendly, peaceful sanctuary. The first home was private although what we could tour was Mother Teresa’s tomb, a museum and artifact area and also a peak into her bedroom. I thought it was a perfect way to start the day since it provided us with her background, turns out I never had much of an education on who she was before then. Seems that most of my history lessons in school related to war and left little room for the world’s charitable heroes. It was enlightening to learn about her purpose and drive to help everyone in need, especially in a culture where “untouchables” were ignored so easily. What amazed me most in the museum was the poster of locations of Mother Teresa Homes around the world – including the United States and as close to my home as Denver, Colorado. She unconditionally loved and taught others how love can help transform people’s lives even when they are poor, when they are hungry and when they are dying. Looking into her bedroom I reflected on how she lived so simply, a clear indicator of how she was unselfish and entirely devoted to serving others. Mother wore the same blue and white sari each day and repaired her own sandals rather than purchasing new, she had artwork on her wall made by her own hand, small bed with a thin mattress, quaint wardrobe closet, desk and table. The room was smaller than my first college dormitory and was located at the top of the stairs centrally located in the building. Feeling a sense of her spirit in this way helped to prepare me for the rest of the tour. The second home we saw was an orphanage and center for people to come and get medication they could not afford. At first I noticed the music coming loudly from the upstairs of one of the buildings. When we walked in there were bright colors and blown up beach balls hanging from the ceiling. Past the entrance a large room held rows of cribs for infants. Upstairs was the room the music was playing, boys around the age of two were running back and forth across the room in fun. Most didn’t seem to notice or care about the visitors at the gate and a few curious little ones came to check us out. In other buildings were children with mental and physical health needs. It appeared some of the kids might have had developmental disabilities, cerebral palsy and hearing or sight issues. These children ranged in very young to around twelve years old, the room had rows of both cribs and beds. Some children had severe needs and were completely crippled and immobile, these were difficult to witness. 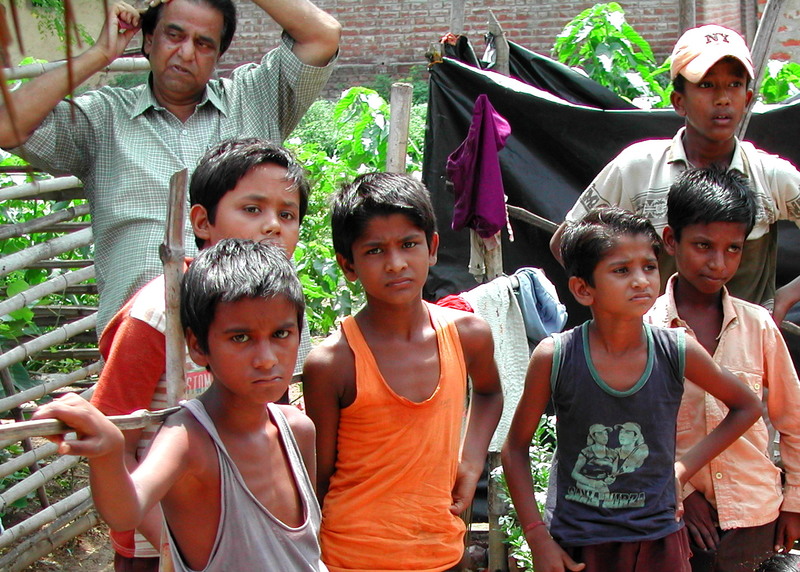 I found myself wondering how each of these children came to live at this Mother Teresa’s Home. Had their parents tried to care for them and what circumstances led to their decision to leave them? Upon leaving this home, we waited outside the gates for our transportation to arrive. A pretty little girl in tattered clothes with a big smile came up and started begging my classmates and I for money. Having discussed what we all felt comfortable doing in this situation, as it happened so frequently, we opted to give food. I first observed Jesi giving her a granola bar; the girl took it and placed it behind her back to move on politely to my next classmate. Julia offered her another food item and again the girl placed it behind her back to step over to my next classmate in line. A man came by behind the girl and took the food from her hands, I assumed this was her father. While we were getting into the cars it appeared this girl’s parents were irate with her, maybe for not getting enough from us or for it not being money. They came to the vehicle window and spoke in an angry manner towards us and the girl. This situation was upset me to think how parents would exploit their children in this manner. I felt like it was a fitting time to witness this behavior, and realize how many of the children living in these homes being loved may have otherwise ended up begging on the streets like this little girl. The third home we toured was for the dying and destitute adults. It had volunteers from all over the world who would help with cleaning, cooking and feeding responsibilities. Men were responsible for going out and picking people up off the streets and taking them to this home. All of the patients, including women, had shaved heads, many appeared mentally ill and some were incredibly frail. Two long rooms separated males and females, each room with a long path down the middle and cots lined up on either side. It was uncomfortable walking around not assisting in any way, all I could do was offer a smile to the woman as we passed. The way we toured felt like we were visiting a zoo and walking through an exhibit. These conditions were not comfortable and not dignified by Western standards, however, the alternative of dying alone and unloved on the streets of Kolkata are worse. The fourth home was no less depressing, it was specifically for mentally ill and handicap adults, although there was one young male patient appearing very young and out-of-place. His collarbone projecting through his body and I couldn’t help wondering what kind of future lie ahead for a boy like him. The last Mother Teresa Home we visited was my favorite of the day since we were able to really interact with the children in the orphanage. The nun who showed us around was an obvious favorite of all the children in the yard since they all called to her and ran towards her when she was in their sight. She took us upstairs to where there were infants and toddlers. In one crib there was a tiny baby whose legs were so skinny it looked like her diaper would easily fall off. The toddlers were all friendly and jumped into my classmate’s arms. One older girl tapped my legs and waved hello. I knelt down to talk to her, she spoke a little English and was able to tell me she was 14 and couldn’t walk because of problems with her back. She told me she enjoys painting and pointed out a friend in the room. 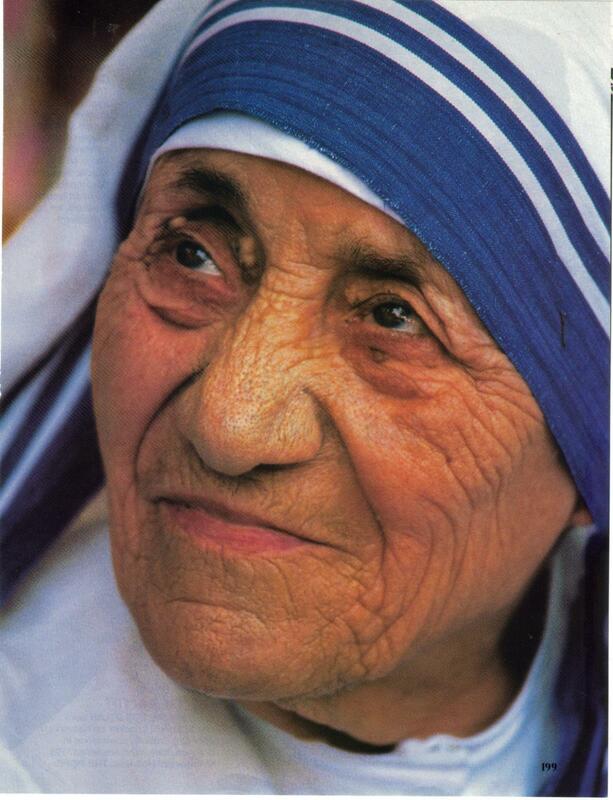 I asked her if she attends school at the Mother Teresa’s Home and she looked at me funny and replied no, as if I should have known she wouldn’t go to school. That made me wonder a little more about the homes and what happens to the children, especially if disabled, as they grow up and “age out of the system” as we might put it in the United States. At the end of the visit we passed out candy to children in the yard which Julia had brought from home for a special occasion such as this. We played for a while, some were able to communicate their names and gestured requests for what they wanted us to do with them like spin or go down the slide. It was a necessary to end that day on a positive note. The lessons I learned from one month in West Bengal I will continue processing for the rest of my life. And the people, the children and the conditions I witnessed in the Mother Teresa Homes was a day I will never forget. I felt a deep sense of compassion for everyone I saw. My judgement about this day was related to the Western standards for quality of life and how these homes were lacking, of course this was dismissing the fact that these homes far exceed the quality of life these individuals would have on the streets of Kolkata. And my sadness was about these individuals not having the same opportunities a lot of the world takes for granted. 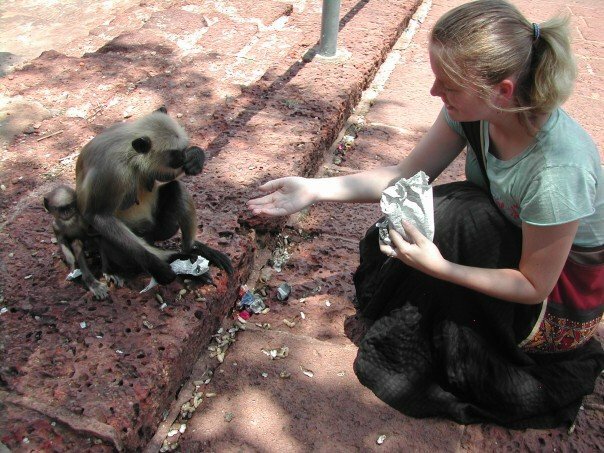 This post is the fourth part of my series about my summer traveling in India. I went with a group of students to study the social welfare systems in Kolkata, this month marks the fifth anniversary of the trip. I will continue posting about our adventures, programs we toured and paradoxes we struggled with this month in reflection of the trip that influenced me so greatly. Yesterday I caught myself wincing from the sunlight when I had forgotten my sunglasses. It reminded me of the summer I opted not to wear sunglasses. This was an intentional thought I had in preparation for traveling to India. I wondered if it may be inappropriate for me to wear a luxury item in this part of the world where so many people went without basic needs being met. Prior to the trip I even wondered if going without some lenses might help me fit in better with the non-sunglasses wearing Indians. How quickly one can learn that a minority will stand out regardless of what they are wearing on their face, and a minority with light skin is regarded in a sort of freakish celebrity status in West Bengal. The irony of forgetting my sunglasses yesterday is that today marks the fifth year anniversary of arriving in Kolkata for my Indian summer. 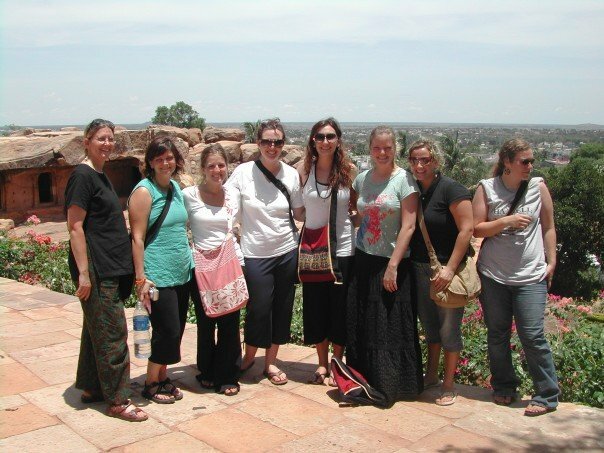 Within two minutes of reading there was going to be a program studying in India I had determined I would apply to attend. Along with seven other students, I was chosen to study the social welfare systems in Kolkata, West Bengal. It wasn’t until after all was set in stone, I began learning about what I had signed up for. My stress was high as the days led up to the adventure. I believe part of my anxiety was knowing I was in for a life changing experience; I would witness things I had never imagined and be in more unfamiliar territory than ever before. I was accurate with my worries. I had never felt further from home. Clothes, food, traffic, language, and everything seemed unrecognizable at first. After about a week and a half I was exhausted thinking I wasn’t even half way through the program yet. Our group of eight went through fun then turbulent then close again stages having to spend so much time together. Despite being diverse in age, background and interests, we were all an important contribution to the group as a whole. The sights, sounds, people and culture I witnessed during this month deeply impacted who I am and how I think about the world. I feel so fortunate to have been able to travel to India and get an up close look at the systems in place to help an impoverished population. One of the most important lessons I learned is that even people lacking resources have a lot to teach Americans about traditions, values and happiness. 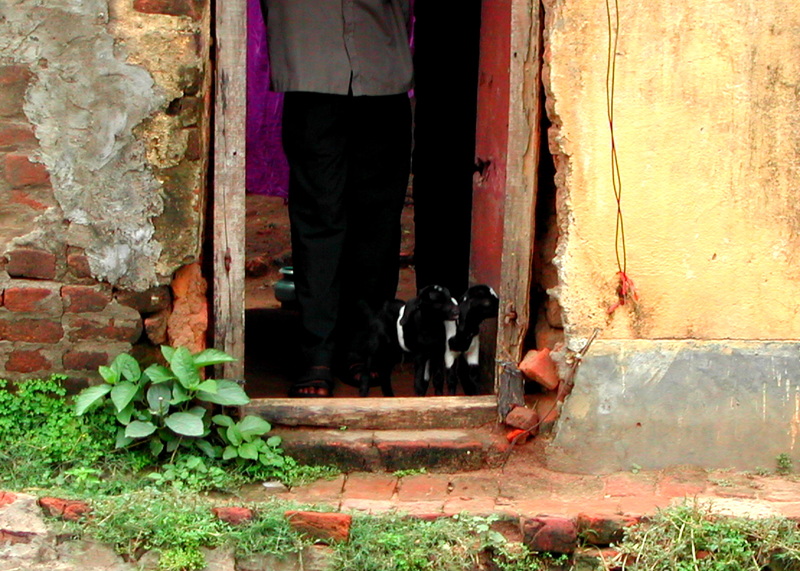 In the next month I will be posting stories, photos and links to the agencies I visited while in India. It’s been five years of reflection which I am overdue in sharing. During that trip I felt a great desire to do something with the information I was gathering and become more of a resource to those individuals who had made such a great impression on my life. Tornado, hurricane, earthquake? No, just my yard. Despite what the picture depicts there has been no natural disasters here. Just four years of bare minimum yard work taking place in this pathetic outdoor space. 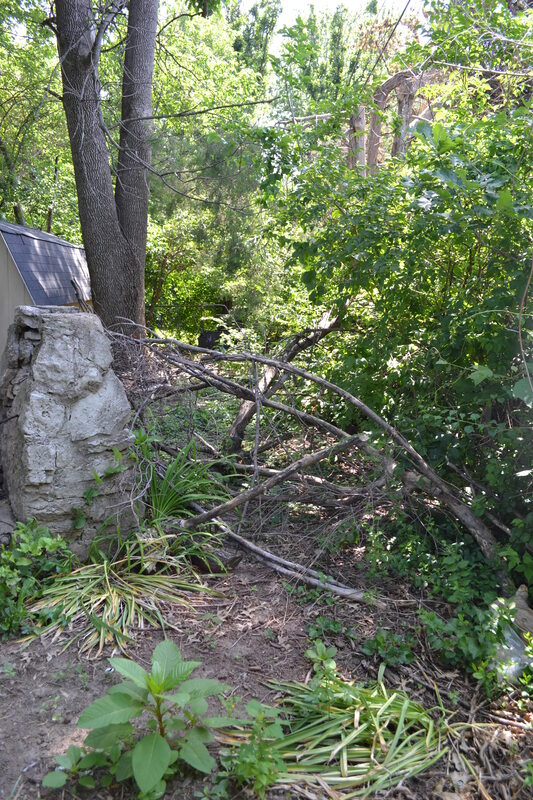 No passerby would even suspect there were two nature loving fools living within these walls, unfortunately, we enjoy the nature in parks rather than cultivating a park in our own backyard. 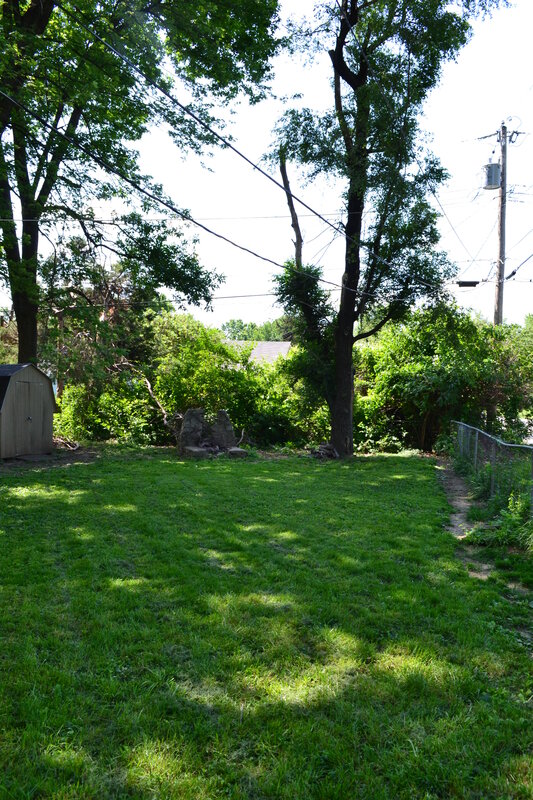 The desire to have a usable backyard has been present since moving into the home almost four years ago. In fact we even discussed how magnificent the yard could be as outdoor entertainment when deciding to make an offer. Since then our aspirations never met our skills, nor did our motivation meet our pocketbook. 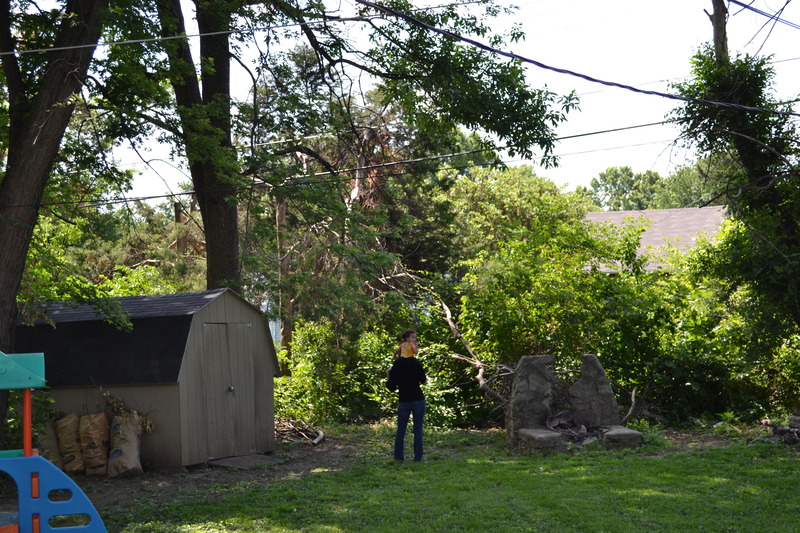 The yard itself is pretty sizable, with large shady trees and an old 1940’s style stone/cement fire pit. The untamed limbs of the trees provide plenty of kindling should we ever be able to utilize the fire-pit. There is a chain-link fence separating the yard from the street parallel to our house. The positioning of our property on the street allows all of our neighbors walking and driving by to take notice of the ugliness that is our yard. It’s difficult to tell what covers most of the ground whether it be grass, weeds or mostly ivy. And our muppet-like furry dogs have taken the liberty of running a path along the fence line to greet other dogs and pedestrians. At times it feels like we are maintaining more of a snake habitat than anything else since it’s near impossible to be out there for any length of time without encountering at least one slithery friend. My neighbor Lucy, who has lived in her home since the ’50s, told me she believes the snake population in the area is so high due to a teen releasing his pets years ago. I’m not sure whether the story is true, or if it could even be the reason for the radical number of snakes. Sometimes I look closely at the snakes to try to recognize if it’s a pet store breed, that is right before I run in the opposite direction. Two ideas come to mind when thinking about the recent urgency I have had to fix this outdoor space. Of course my busy toddler is topping off that list. I want her to be able to develop memories of playing outdoors, swinging, running through the sprinker, riding a tricycle around a paved path, and laying out a blanket for an impromptu picnic when the weather calls for it. I dream of being able to host her second birthday this fall at our own house and to be able to have our friends and family all together to celebrate with a backyard BBQ. I’ve imagined cozying up to my hubby and the baby monitor with a backyard fire, escaping the nonsense of a days work with an evening camping experience. I’d have flowers and vegetables grown instead of bought. I’d have neighbors admiring the space instead of wondering what lazy individuals must live here. I’d even try my hand at composting and if my husband would allow it I’d maintain a chicken coop for fresh eggs (that last dream I won’t ever get approved though). My daughter and I surveying the amount of work that needs to be done. Since hearing this exercise several years ago, I often think of describing my house. Sometimes I can say my house feels happy, sometimes it’s my house is a mess, or my house is colorful. Recently I reflected on the statement and came up with – My house is better on the inside then the outside. This idea was an honest response to the feeling of doing more work on the interior of my house and the obvious lack of effort on the exterior (mainly the backyard). I spend a lot of time cleaning, decorating for the holidays and I have painted nearly every wall in the house since we have moved in. The significance of the statement, according to Peter Walsh, is to change “my house” to “my life” and understand how our home is a reflection of how we are living and who we are. It’s been accurate for me in the past of feeling happy, colorful and even when my life was a mess. This time My life is better on the inside then the outside, also seems true to me on many platforms. To me, it applies to feeling confident and happy with who I am on the inside and it not projecting to my outward appearance. I don’t put much effort into taking care of myself on the outside with exercise, haircuts or dressing myself. More importantly the creative thoughts and ideas which I am consistently brainstorming inside my head are not being acted on outside of my mind. 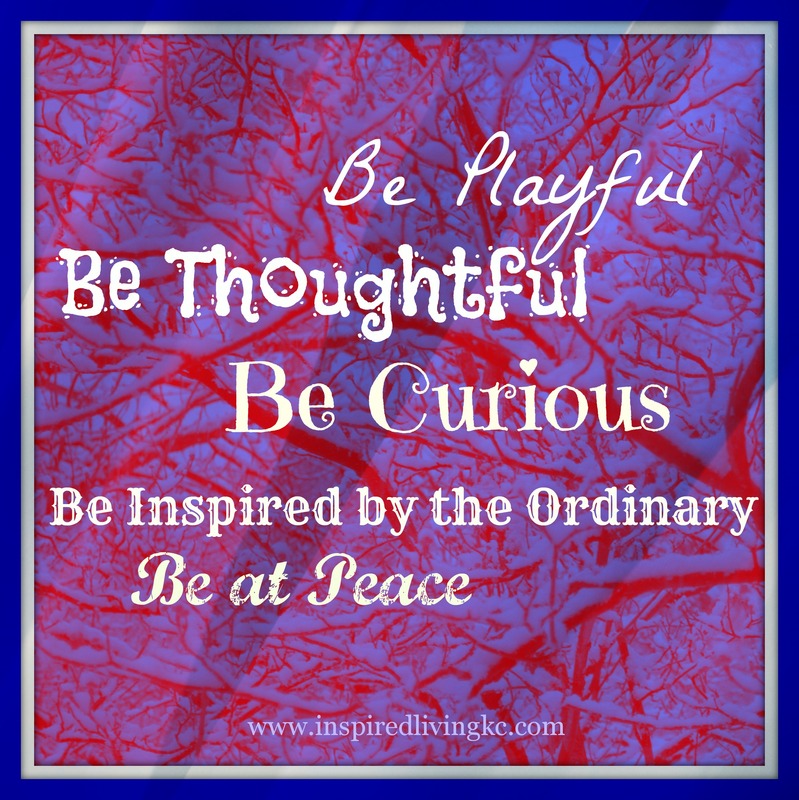 I wonder what the “outside” in my life could begin to resemble if I put forth the effort of the ideas I have on the inside. 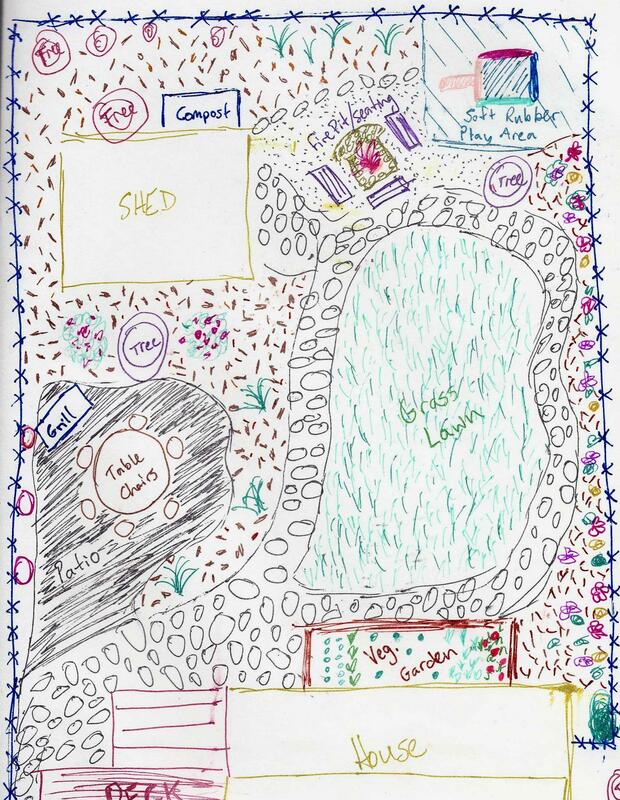 This is my dream yard space complete with patio, garden areas, grassy pad, fire-pit seating, play area and path. Now I’ll just need the powers of the internet for support and accountability. This takes me back to the backyard. I’m focusing on the outside of my house, as a metaphor for working on releasing the creativity in my mind. I believe that when I have a yard space I can be proud of, I will also have measurable output for my ideas, and my hope is this will expand to more than just my yard. As for the outward appearance – yard work is exercise and no one will care if my hair is done or dirt is on my clothes when they walk past and compliment my yard. Please consider these the before pictures and stay tuned for updates on progress! Integrity for sale on Craigslist? In our house “spring cleaning” doesn’t seem to cut it for clearing the clutter. It’s like a wild fungus that recreates it’s self four times over every time items get hauled away to be donated. 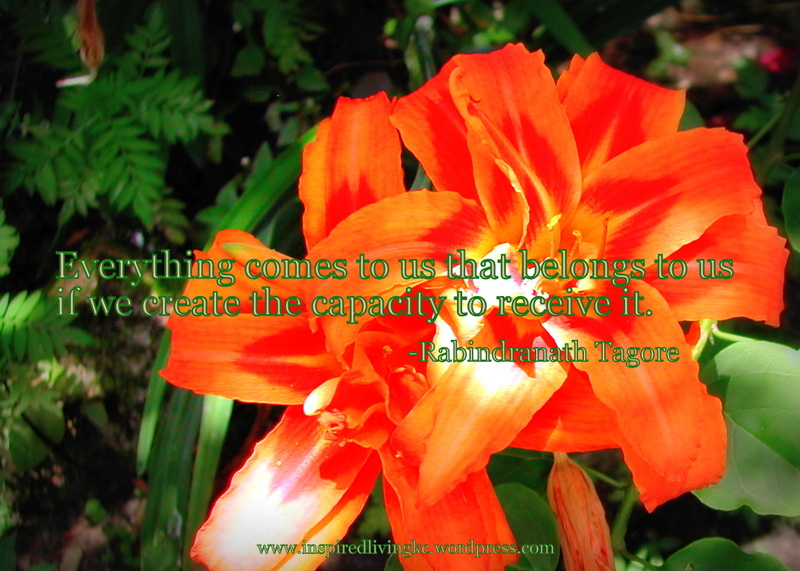 More frequently than just in spring, I get the urge to purge our unwanted and unused items. It has been easy to bring various clothes, small furniture and decorations to the thrift store benefiting veterans down the street. Lately I figured some items with more value I would try to utilize the power of Craigslist to see if I could make a little cash. It has been an interesting adventure to say the least, with some unique inquiries and pushy buyers. Due to being up to date on the horrors of meeting people over the internet I have been careful to set meet-ups in well-lit public settings. Most transactions have been simple and uneventful. On Wednesday afternoon I made a call to the phone number given on an email in response to my ad about a printer I had posted for sale. After some discussion the gentlemen agreed to make the purchase and wanted to arrange to meet that day since his printer had broken and he needed one to replace it right away. He suggested that I could just drop it by his shop, I perked up at the thought that it would be a public setting and I could make it convenient for my buyer. Although when he told me the street it was on, I sank recognizing this as the street named almost nightly for crimes on the 6 o’clock news. Thankfully he agreed to meet me in front of a store a few blocks from my house (that part he didn’t know). I arrived at the store and quickly located his blue rusting pick-up truck. It was the kind of truck my uncle used to have, back when me and my cousins could hop in the back and ride down the gravel path to the neighbor’s house. Back then no one would frown at us for how unsafe it was to not be buckled in the moving vehicle. I tried to be friendly and show him where the directions were located. He did not even seem to make eye contact as he snatched the printer, delivered the cash and went on his way. In fairness I did arrive late to our meeting, and from his appearance he probably had a hard-working day at his shop. On my quick drive home I felt satisfied with the two crisp twenty-dollar bills in my palm and wondered briefly if my asking price was too low. After all, the all-in-one printers are sold for hundreds of dollars new at the store. It didn’t matter, I was richer then I was when it was sitting in my office collecting dust. I didn’t think about it again and probably would never have thought about it again until I received a text message on Thursday afternoon. “Isnt the value of ur own integrity to ur self worth more than forty dollars ?” the text message said. I would have been completely confused as to who the message came from and what it was pertaining to had $40 not been referenced. I knew that it had to be the man who bought my printer and I was quick to assume there must have been a problem with the printer. The feeling of anger poured over me to partner with being offended. How quick this man was to assume that I had tricked him into buying a piece of junk? The urge of wanting to return his message with another hateful statement was strong so I put my phone away to think about it for a while. When I relaxed enough to realize his statement had nothing to do with me, I wondered if he had experiences buying bum equipment in a similar fashion before. I thought maybe he didn’t know how to install it properly – not that I could be any help. I considered not responding and just slipping away with my money and letting him believe he was right about the kind of person he believed me to be. Following this message, a conversation ensued beginning with the man apologizing for making a negative assumption about my character. I explained that the printer had worked the last I used it and we agreed to meet again to make a Craigslist return. While working on the sale of the printer I also had another sale in the works. Some small VHS blank tapes for the old school type video cameras were also cluttering my office. I knew they weren’t incredibly valuable and I figured someone could make better use of them than I was. Sure enough I was in touch with a buyer who wanted to make the purchase for his dad since he was taking a trip to El Salvador this summer and wanted to capture it on tape. On Friday afternoon I met him in a parking lot where he expressed great appreciation for being able to get the tapes for his dad and handed me a fifty dollar bill. I told him that I didn’t think I had any change as I had listed the tapes on Craigslist for a fat $10 bill. The young man seemed confused and stated that he couldn’t remember if we had discussed price and that he planned to offer me $50. Interestingly, this price would have made the difference in the loss of $40 from the return of the printer. Yet again another moral dilemma where I could have kept silent and walked away richer. I handed him back the fifty and told him that it would be too much for these tapes. We exchanged a smaller amount and he happily took his purchase home to his dad. While I maintained my integrity through lessons from Craigslist. I don’t remember where I first heard the definition that always stuck with me… Integrity is doing what is right even when no one is looking. I love the definition although sometimes it is hard to know what the right thing to do is. We all need a little inspiration. Yes, please sign me up! Ha ha - I didn't say that! Two words, out of the blue.